The Siphonobot is a underwater robot based on the Siphonophore, a multi-organism sea creature that uses multi-jet propulsion to achieve locomotion. 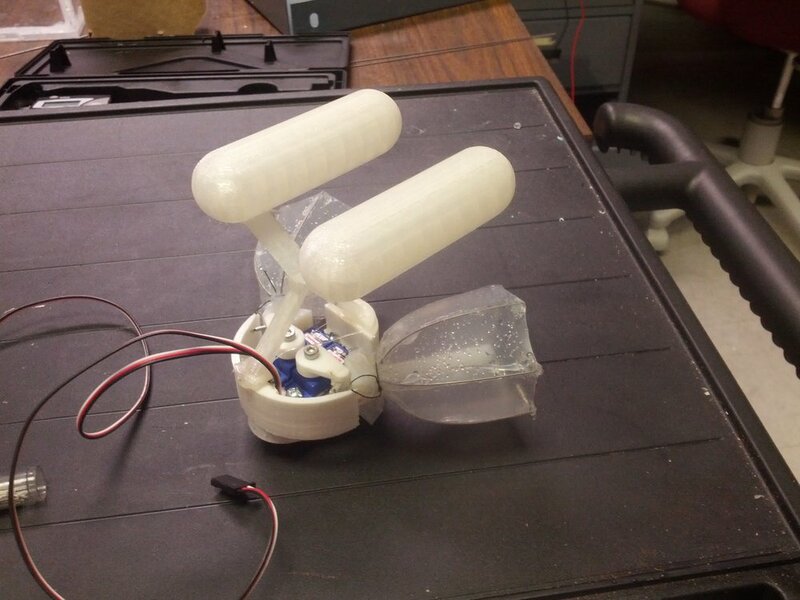 The robot consists of silicone jetting propulsors actuated by servo motors. Each propulsor can be triggered individually to achieve various jetting gaits.